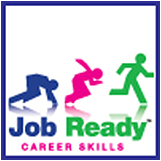 Job Ready Career Skills educates your students in the essential soft skills. This comprehensive software program measures students’ progress by assessing their knowledge of each lesson. With five categories, 21 topics, 210 lessons, two videos per topic, assessment, pre- and post-tests, an extra activity per lesson, and trophies for exceptional performance, Job Ready Career Skills prepares your students boldly for career success. 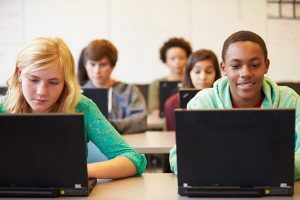 Try a few Job Ready Career Skills interactive sample lessons yourself, or let your students try some lessons, and you will see how you can turn the challenge of teaching soft skills into a top-tier learning experience. You can customize Job Ready Career Skills for different classes and use as an individualized learning experience or a teacher-directed activity. When you use the online version of Job Ready Career Skills, you will have access to The Teacher’s Desktop, which provides for electronic grading of the pre- and post-tests. You will reduce many time-consuming tasks with the following shortcuts. The CD version of Job Ready Careers Skills contains the student program only and does not include The Teacher’s Desktop. Scores are reported to students only.